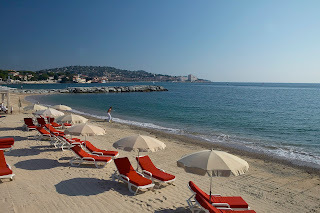 South France Villas guide to our favourite beaches on the Cote D’Azur the French Riviera. 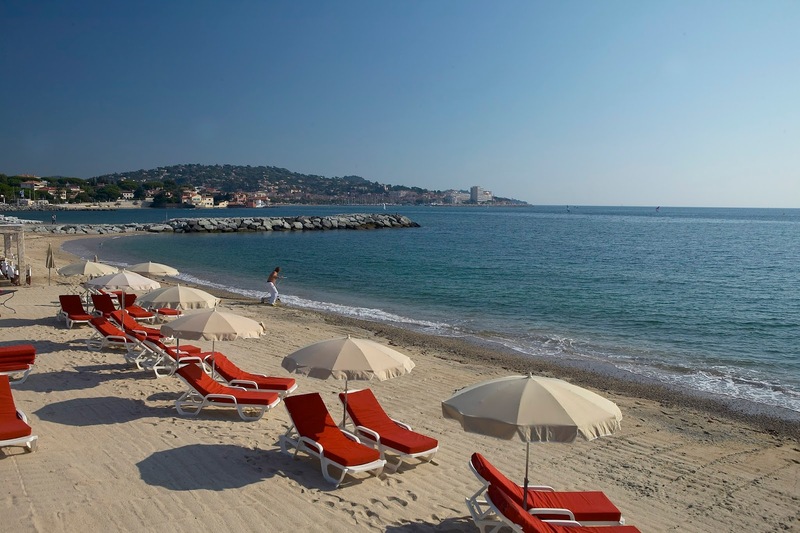 From Monaco down to St Tropez, the Cote d’Azur beaches offer something for everybody on holiday in the South of France. One imagines that all the beaches on this wonderful coast line are impeccable, with fine white sand, shallow waters and luxurious sun loungers. This is true for most of the beaches, however the Cote d’Azur coastline can also be rugged and au natural however still stunningly beautiful. 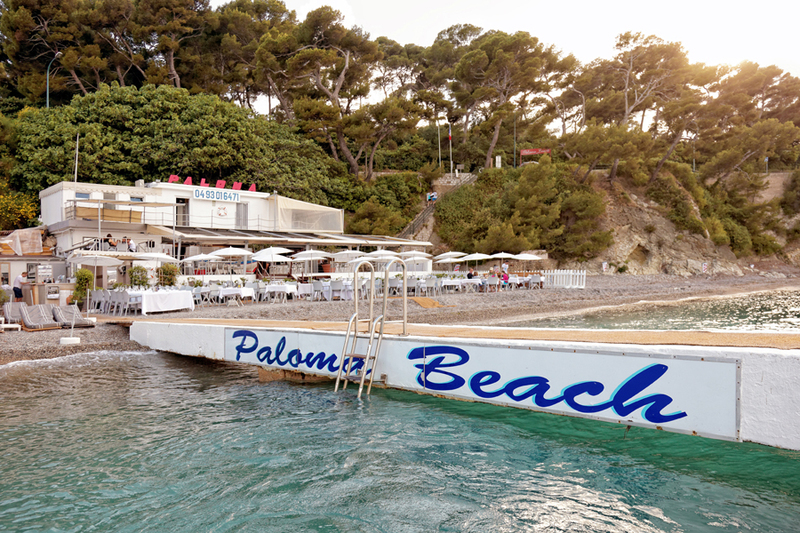 Named after Picasso’s daughter Paloma, as they spent lots of family time on this beach. 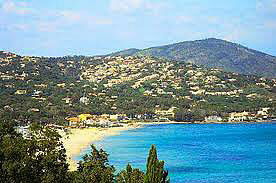 Nowadays it is one of the most popular and exclusive beaches around Cap Ferret and the place to be seen. The beach itself is shingle and not sand, however the picture perfect surroundings more than compensate for this. Eze, Cap d’ail and Beaulieu can all be seen from the beach and as the bay is sheltered it is just the perfect place to top up your tan. The Paloma private beach restaurant pretty much takes over the beach, the menu is as you would expect on the beach, fresh fish, and salads etc along with being expensive! The service and yet again the view do make it worth every euro! Our tip- Visit in May, June and September and don’t forget to ring and book your place either for a sunbed on the beach or for a lunch/dinner reservation. A public beach with coarse sand and crystal clear blue sea, imagine yourself living the life of luxury on one the many super yachts which dock in the deep waters including cruise ships and the American Navy. There are plenty of places to eat or just buy a sandwich, an ice-cream, or something to quench your thirst. Access is easy and there is a large carpark. The train line runs alongside the beach and the station is just a few minutes’ walk away, the downside of this is the sound of the trains may disturb your siesta! Our Tip- A good old fashioned beach ideal for a family picnic. We can understand why you would want everyone to know you were here on this beach, but surely it is much better to just enjoy the moment! The beach is mainly private with dining tables and sunbeds covering most of the sand and some are actually in the water! A good choice of food and excellent wine and champagne lists can be found at the beach restaurants. Our Tip- A great place for that special occasion, the place to be seen! 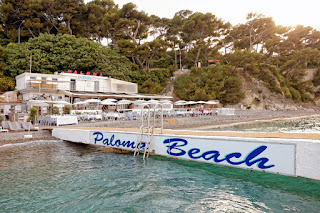 This is the largest private beach on the Côte d'Azur and maybe even in France! Whatever your mood there is a corner for you. The Lounge Box for a VIP experience, the Ovale beach bar, the beach straw (bistro on the beach), restaurants both inside and on the terrace, cocktail bar.… The drinks menu ranges from 4.50 Euro for a beer to 400 Euros for a bottle of Cristal Champagne! Hungry? A wide range of tapas is available all day and the restaurant is open for lunch and dinner daily. There are over 300 sun-loungers and they are famous for their “double beds”, daily packages can include champagne and strawberries. Live Music and DJ’s in the evening turn the beach into a great party atmosphere. Our Tip- This really is the place to people watch! Situated about 6 kilometres from St Tropez, this is not a star studded beach but offers more of a family atmosphere than the more famous Pampelonne beach in St Tropez. It is perfect should you wish to escape the St Tropez lifestyle for the afternoon. The beach is about just over half a kilometre long and gets very busy in July and August, life guards are on duty, showers and toilets along with parking are available free of charge. There is one beach restaurant with sun-loungers for hire. Our Tip - Great place to escape to in June or September. South France Villas have a good choice of holiday villas near to the sea on the Cote d’Azur, we have been making holidays special for over 15 years.